Since 2002, Tint Pro’s of Tallahassee has been a locally-owned and -operated window tinting service, serving home, business and vehicle owners. We pride ourselves on the quality of our window tinting services, our penchant for completeness and our depth of experience. Get in touch with us today for a quote on service! Window tinting in Tallahassee, FL has a profound effect wherever it’s installed. On homes, tinting is a superior way to retain your privacy, without having to block natural sunlight with bulky blinds and shades. For businesses, it’s a great way to protect your patrons and your merchandise from harmful UV rays throughout the day. For vehicle owners, tinting is a multipurpose solution to privacy and controlling the temperature level in your cabin. 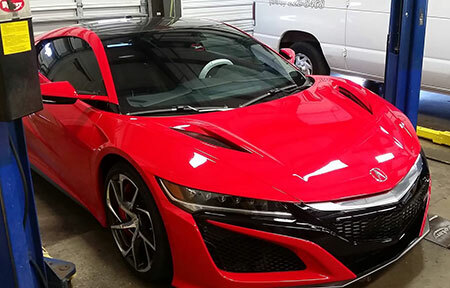 When installed by qualified professionals—like those at Tint Pro’s Of Tallahassee—window tinting is a supreme investment that will pay dividends. At Tint Pro’s Of Tallahassee, our window tinting service in Tallahassee, FL is head and shoulders above all others, both when it comes to the quality of our work and the results of your investment. We have more than a decade of experience in tinting windows for homes, business and vehicles, and take pride in helping our customers reap the full benefits of tinting. No matter the scope of your tinting needs, the size of the project or the nature of the application, trust that our team will work quickly and with supreme accuracy to provide you with exceptional results. We guarantee your tinting job will look great, function exceptionally and last for years and years to come. We can tint all automobiles, as well as any residential or commercial property! Our professionals can install safety glass where needed, to prevent hazards when glass is broken. We’re pleased to serve all of Tallahassee and the surrounding area cities and towns. We’re pleased to provide you with a free estimate on all services. Whether for privacy or aesthetic, home, business or auto, Tint Pro’s Of Tallahassee is here to provide you with top quality window tinting services. Get in touch with us today for a quote.